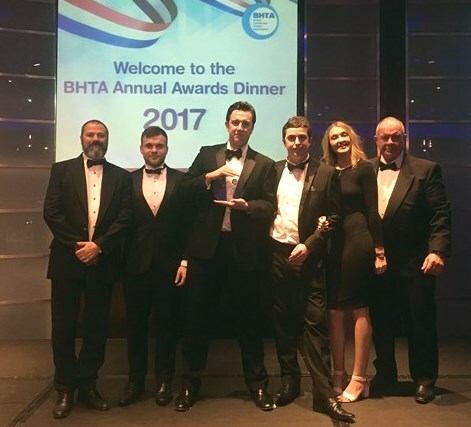 Everyone at Taylor Dolman would like to congratulate Guldmann UK on their success at the British Healthcare Trades Association (BHTA) annual awards – winning the Best Product Category for the new GHZ lifting module. The BHTA is the UK’s oldest and largest healthcare association, founded in 1917 and this award comes on its 100th anniversary. The Best Product award recognises a product that meets the demand for innovation, proven success in line with objectives set within development and improves quality of life. The GHZ is a discreet – almost invisible – lifting module that ensures safe and comfortable lifts and an ergonomically safe working environment for care staff. The lifting module runs within the traverse rail, minimising the depth dimensions and allowing extra lifting height, which can be a major benefit in rooms with low ceilings.